Moscow: A Russian general was killed while battling Islamic State group militants near the eastern Syrian city of Deir Ezzor, Moscow's defence ministry has said. "Division general Valeri Assapov was killed when a shell exploded during shelling by Islamic State fighters," the ministry was quoted as saying by local media on Sunday, adding that the officer was serving as an advisor to Syrian government troops. 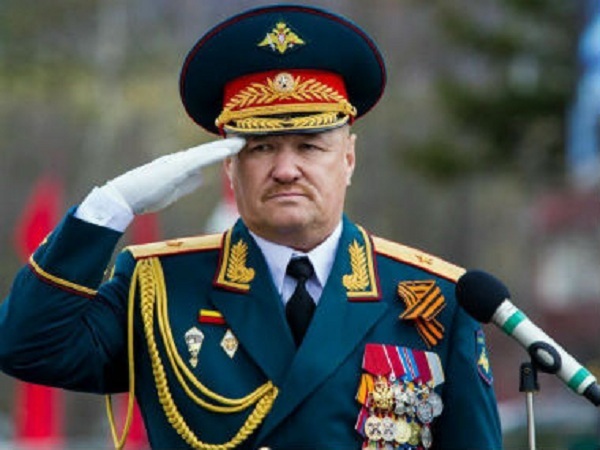 The ministry said Assapov would be posthumously decorated for his service. Deir Ezzor province, on Syria's eastern border with Iraq, is rich with oil and gas fields that served as a key revenue stream for Islamic State at the peak of its power. Russia intervened in support of the Damascus government in September 2015 and has been assisting regime forces in an assault on Deir Ezzor from the west. A Russian general was killed while battling Islamic State group militants near the eastern Syrian city of Deir Ezzor, Moscow's defence ministry has said.